The Shrewsbury-born woman who founded a pioneering religious order for women in the 19th century lived a life of heroic virtue worthy of sainthood, Vatican officials investigating her life have concluded. 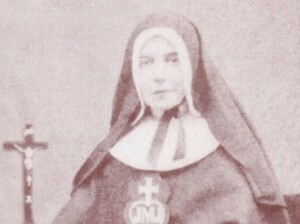 Elizabeth Prout, who worked in the slums of Victorian Manchester and founded an order that became the Sisters of the Cross and Passion, lived out the theological virtues of faith, hope and charity to a heroic degree, according to a position paper being drawn up by theologians attached to the Congregation for the Causes of Sainthood. Their conclusions could result in a major step toward her possible canonisation as the first British saint since 1976 and first British woman saint since 1970. But their document, called a positio, will not be finalised until late next year and it must first be approved by scores of Vatican cardinals, theologians, historians and scholars before it is sent to the Pope. But if Benedict XVI agrees with their conclusions he will declare Mother Elizabeth (pictured) to be “Venerable” and the search will begin for two miracles needed for her beatification and then her canonisation as a saint. In an unusual step for a process normally kept secret, excerpts from the first 30 pages of a document expected to be at least 300 pages in length were disclosed at a Mass in honour of Mother Elizabeth at her grave in St Helens, Merseyside. American Sister Elissa Rinere (below), a senior congregational leader of the Sisters of the Cross and Passion, flew into the UK from Colchester, Connecticut, to deliver the news in person. She said that the theologians had found that all the available evidence suggested that Elizabeth had “exercised the virtue of love in heroic measure”. “The positio argues that Elizabeth was unquestionably rooted and grounded in the virtue of love in all her personal interactions,” said Sister Elissa in the Church of St Ann and Blessed Dominic. “Elizabeth’s great faith kept her focused on God’s will, which constantly drew her forward,” she continued. “Elizabeth lived in the hope that God’s promise would be fulfilled, that both her works and life of service would be brought to a successful completion. 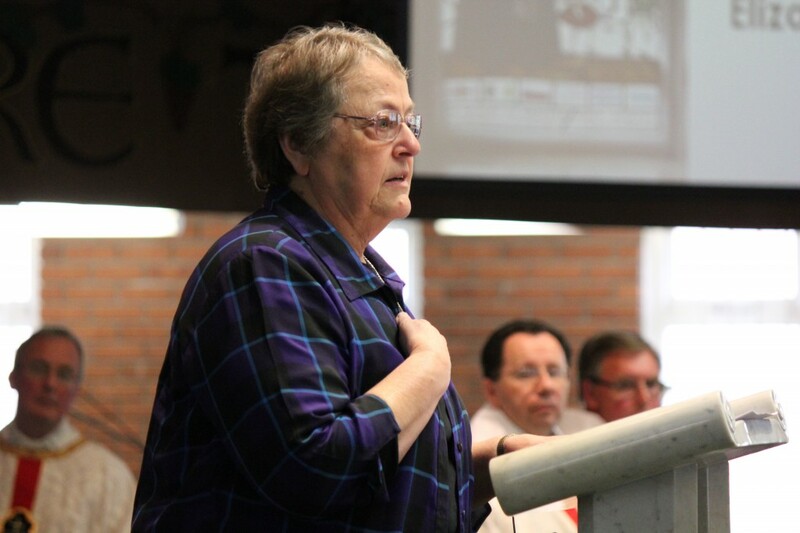 Sister Elissa added: “Surely this woman’s example of heroic virtue can inspire us anew to breath in the spirit of Elizabeth Prout and have that spirit find a home in us again. “Today our task here is to rejoice and to celebrate. Here today we are united by her inspiration. We are united in prayer as the focus of Elizabeth’s life undergoes scrutiny in Rome. Elizabeth Prout’s cause for canonisation was opened in 1993 in the Archdiocese of Liverpool, where she died from tuberculosis at the age of 43 in 1864. In 2008 the local phase of investigation concluded and a dense and sealed file of documents sent to Rome. Mother Elizabeth was born in Coleham, Shrewsbury, into an Anglican family and she was thrown out of her home after she converted to the Catholic faith in her early 20s. At the age of 28 she became a nun and a few years later was given a teaching post in some of the poorest areas of Manchester, working largely among Irish migrants and factory workers. She developed a reputation for her tireless efforts in teaching, sheltering, feeding and nursing the needy and opened an archipelago of schools and hostels across the poorest parts of the North West. As other women joined her cause, she founded a religious community, and adopted the name Mother Mary Joseph of Jesus. Many people, including some Catholics, criticised the new institute for its so-called “revolutionary ideas” – namely that of obliging the Sisters to earn their own living and support themselves, practices which they also taught to poor women in the city. But the Vatican approved the order in 1863 and named Elizabeth as the first Superior General. She died in January 1864 the company of Father Ignatius Spencer and is now buried close to him in St Ann’s Church. Her grave (pictured above) also lies beside the tomb of Blessed Dominic Barberi, the Italian missionary who received Blessed John Henry Newman into the Catholic Church and whose preaching influenced her own decision to become a Catholic. She is among a new post-Reformation generation of English men and women whose causes for sainthood are being considered by the Vatican. The most well-known of these is Blessed John Henry Newman but they also include Father Spencer, the great-great-great uncle of Diana, Princess of Wales, and a relative of Winston Churchill. 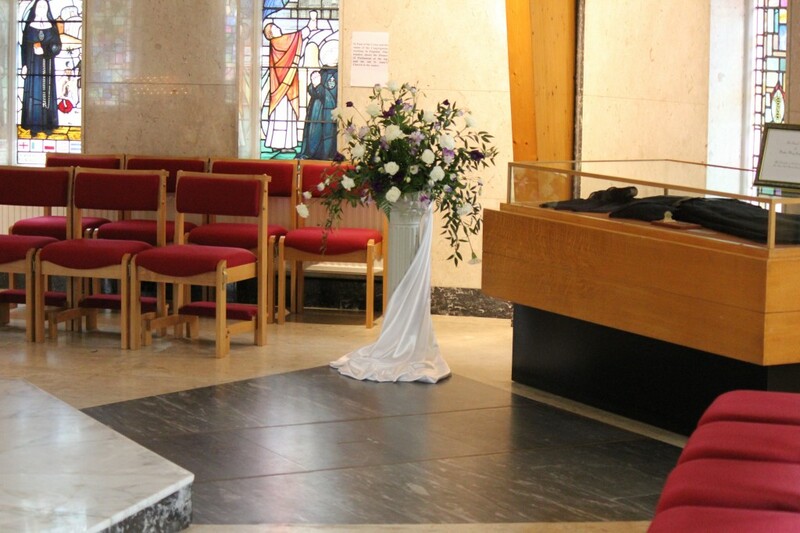 The last British women to be canonised were St Margaret Clitherow, St Anne Line and Congleton-born St Margaret Ward, all of who were executed during the Protestant Reformation and who were made saints by Pope Paul VI in 1970. The last Briton to be canonised was St John Oglivie, a Scottish Jesuit martyr, in 1976, also by Pope Paul.